KMF recently celebrated being named the UK&apos;s &apos;Large Employer of the Year&apos; by the National Apprenticeship Service. 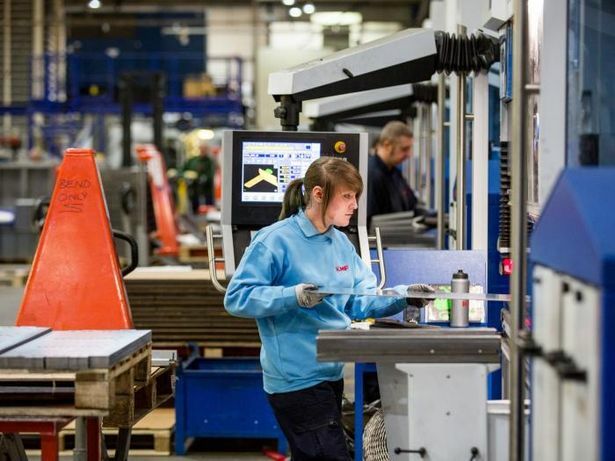 At a glitzy awards ceremony, earlier in November 2018, the sheet metal company beat off tough competition from major employers such as Channel 4 Television and Severn Trent to receive the award which highlights best practice across recruitment excellence, high quality training practices, diversity and career progression. To celebrate the achievement, KMF have opened applications for its now award-winning metal fabrication and CNC machining apprenticeship for September 2019, aiming to recruit a record number of apprentices across the group. KMF is the market leader in the supply of precision sheet metal fabrication and engineering solutions. Formed in 1971, the company is still under the management of its founding directors and has grown into one of the largest and most successful sheet metal manufacturing and engineering plants in the UK. KMF also received a &apos;Highly Commended&apos; award for &apos;Recruitment Excellence&apos; which celebrated the company&apos;s innovative approach to high-quality and diverse apprentice recruitment. Judges made special acknowledgement to the company&apos;s STEM outreach programme and its Young Engineer of the Year competition, which reaches over 5,000 students and invests £150,000 annually. As a result of the win, KMF has been included in the prestigious Centrica Top 100 Apprenticeship Employer List 2018. Jenny Conlon, Training and Development Manager at KMF Precision Sheet Metal, commented: "Being recognised by the National Apprenticeship Service is a great achievement that provides a real sense of accomplishment. "Our apprenticeship programme is essential in training the next generation of technology-led engineering specialists and is a major strategy within our recruitment plan. We work hard to nurture a skilled team of employees who embody our values from day one, and we are passionate about providing each individual with opportunities to allow them to develop within our company." The firm hope to welcome 18 new apprentices to their manufacturing facilities in Newcastle-under-Lyme, its largest apprentice intake to date, which increases its current apprentice cohort of 40 by nearly 50 per cent. KMF will be holding its annual apprentice open evening during National Apprenticeship Week on Wednesday March 6, providing an opportunity for budding engineers to explore the sheet metal fabrication and CNC machining facilities and learn more about the training opportunities available.